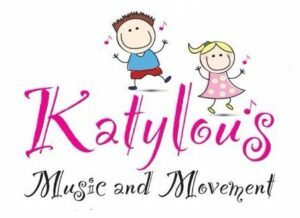 Katylou’s Music and Movement classes are for children aged 12 months to 6 years and designed to build co-ordination, creativity and confidence. 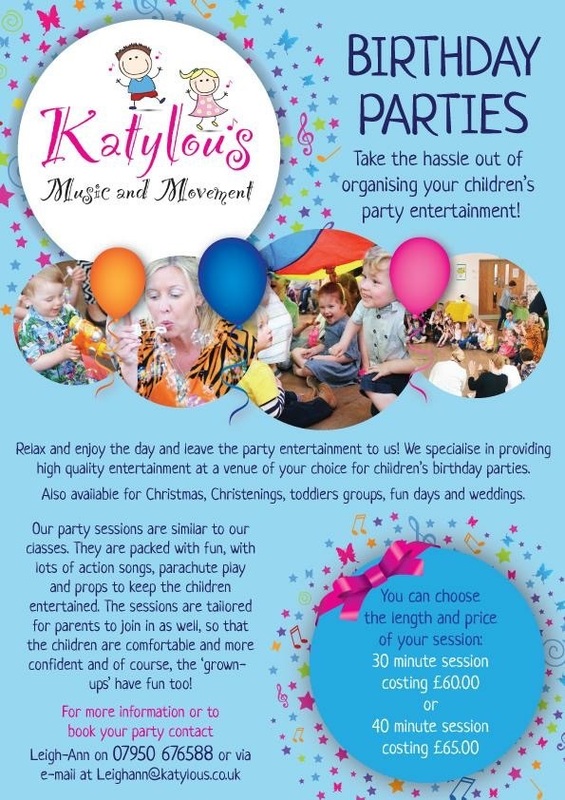 At Kaylou’s music and movement classes we have lots of action songs and enjoy using many props including rainbow sticks, balloons, beach balls, instruments and bubbles. We wear ‘Dingle Dangle Scarecrow’ hats, ‘Sleeping Bunny’ ears and tails, jester hats to become ‘Jack in a box’ and wear eye patches to become ‘pirates’! Each week we either play with the parachute and colourful balls or play with our super stretchy lycra. We use counting songs and learn about colours and opposites. Our classes are educational, fun filled and fast paced and each term has new material to keep the children motivated. Classes take place during term times on Friday’s at 9.30 am & 10.45 am. Also drop in classes take place during the holidays at 10 am. Tea/coffee/cakes & fruit are available for £1 per family after the classes. Cost per class is £5 and each 10 week term is payable in advance. Free places for siblings under 12 months. Siblings over 12 months pay discounted price. Discounts for Child-minders. Twins pay for just one place.